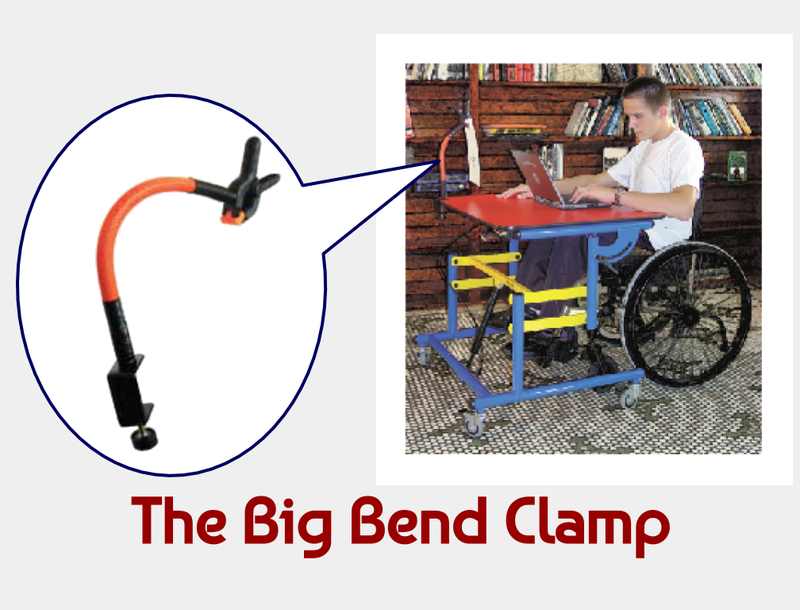 The Big Bend Clip was originally designed as an accessory to our Convert-Able Table, but because of its adjustable clamping system it can hold tight to any flat surface up to 1.5” capacity. The clip is durable enough to hold documents as well as photos, books, toys, etc. Using two Big Bend Clips will aid in holding larger or heavier objects. Want to purchase this item? Click here!